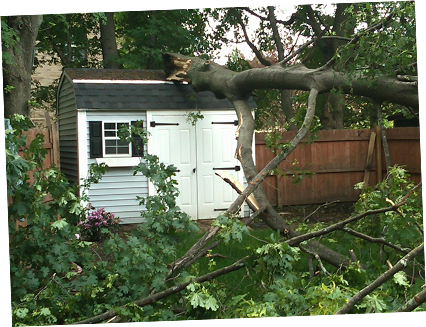 Nick Ieronimo Landscape Supplies offering Post Woodworking™ Sheds. For beauty. For storage. For a lifetime. At Nick Ieronimo Landscape Supplies, we offer Post Woodworking™ sheds, which are handcrafted with form, function and durability in mind. Post Woodworking's™ timeless designs can easily become a welcome addition to your yard and landscape plans. We have had the opportunity to build some very special sheds, for some very special people. Post Woodworking™. It has been a true pleasure to work with your company. experienc e has been extremely positive. My husband and I have never seen anyone work so fast and leave our yard in perfect condition. We can't wait to begin filling our 10x14 shed and getting our car into the garage. We will highly recommend your company to anyone in the market for a similar product." 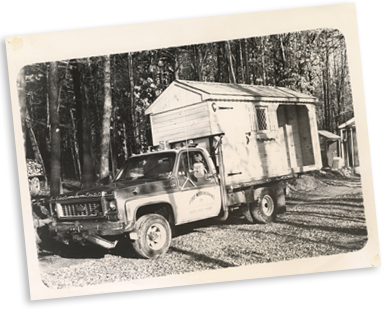 Our original delivery truck. Don't worry, we've upgraded. What good is a shed if you can't have it this year? Post Woodworking™ can deliver most sheds within a two week timeframe. Your careful preparation and backyard planning this year should not be all for naught. That is why Nick Ieronimo Landscape Supplies chose the biggest shed manufacturing company on the east coast to partner with. Post Woodworking™ is a veritable factory of shed fabrication. 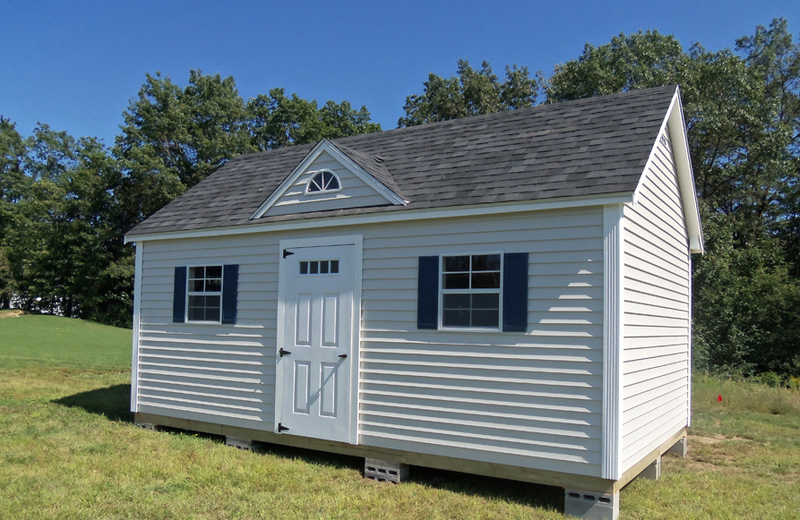 Nick Ieronimo Landscape Supplies offers Post Woodworking™ sheds because Post can deliver the highest quality shed from the factory floor to your door in 2 weeks or less. 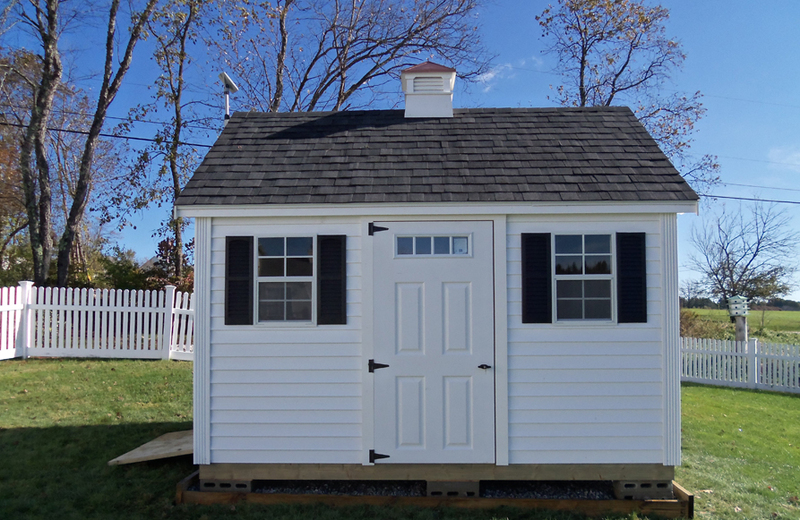 Whether for storage, recreation, or another unique function (beauty comes standard) there are some important points to keep in mind while planning for a new shed. 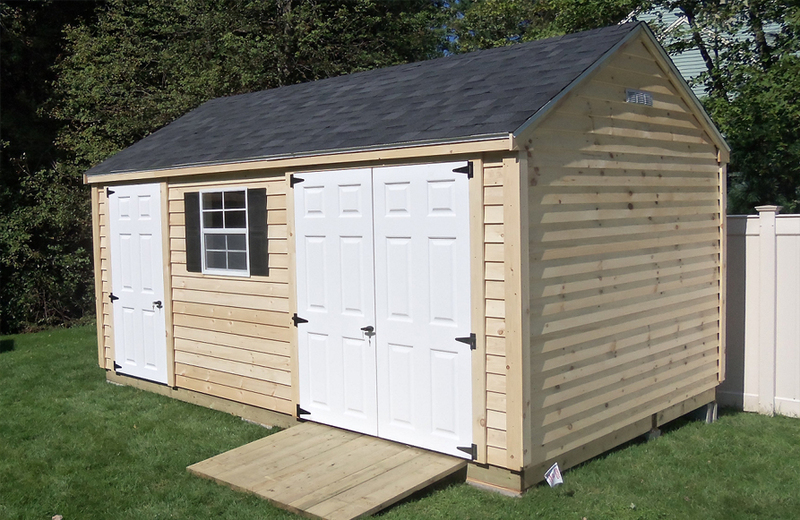 Take count of the items that you need to fit into your shed, but more specifically consider how your shed will be utilized the most. For example, if you have a snowblower, how should the doors on the shed open to make it easiest for you to drive in and out, on those cold winter mornings. How does the ground need to be prepared? Nick Ieronimo Landscape Supplies and Post Woodworking™ has worked in cities and towns all over MA, NH, VT, ME, RI and CT and chances are we will be able to answer your question or point you in the right direction. Picking the perfect location for a shed on your land can be tricky. The most important thing to consider is access. 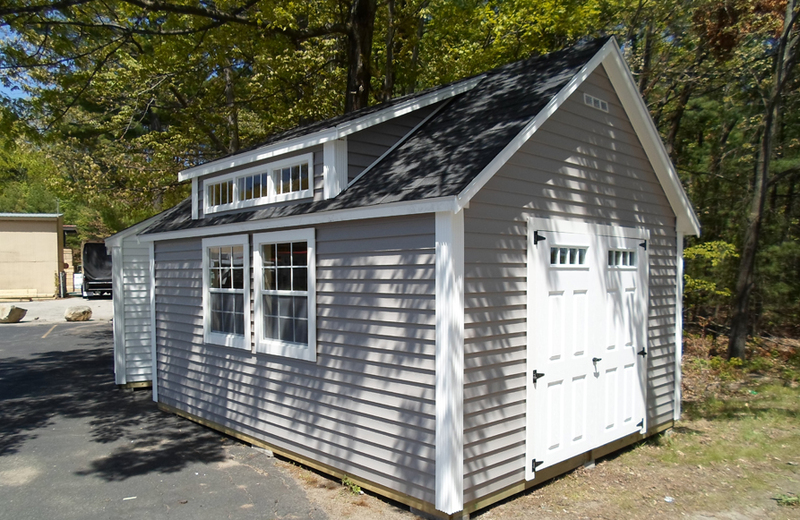 In New England, we are blessed with 4 very different seasons and you want to make sure that your shed location can easily accommodate access to your motorcycle, lawn mower, ATV, yard tools, beach toys, snowblower, generator or whatever else you may want to store seasonally. After that, its important to remember that our sheds have a 30 year warranty and we know of some that have lasted well beyond that. So be picky, make sure you won't mind seeing your shed for years to come. 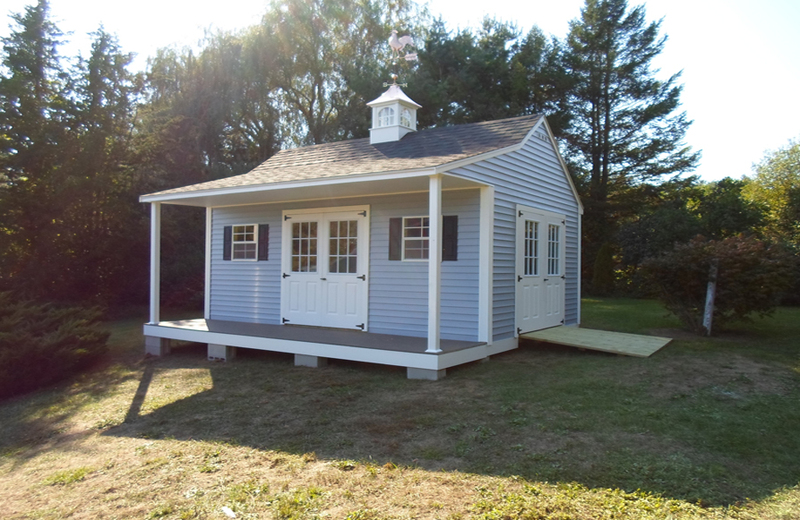 Our sheds are built from the ground up at Post Woodworking's™ factory in southern NH. This means that the options for customization are nearly endless. This is where you can really let your aesthetic sensibilities shine. We can offer you siding and trim to match your house. A copper-roofed cupola to add a touch of elegance to your shed. 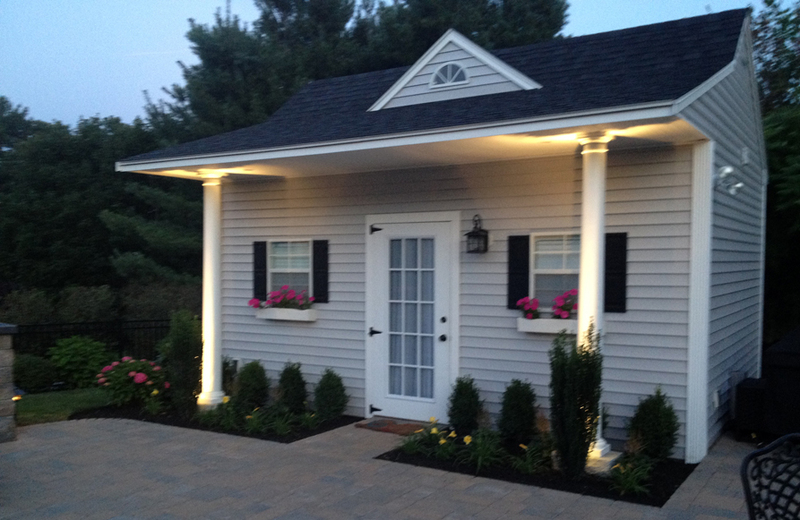 We've built sheds with front porches, custom windows and doors and the list just goes on and on. These sheds are handmade, so the opportunities are endless. So, what can we build for you? We are proud of how our sheds stand up to mother nature. Here is a perfect example. All the homeowner had to replace was a few shingles. 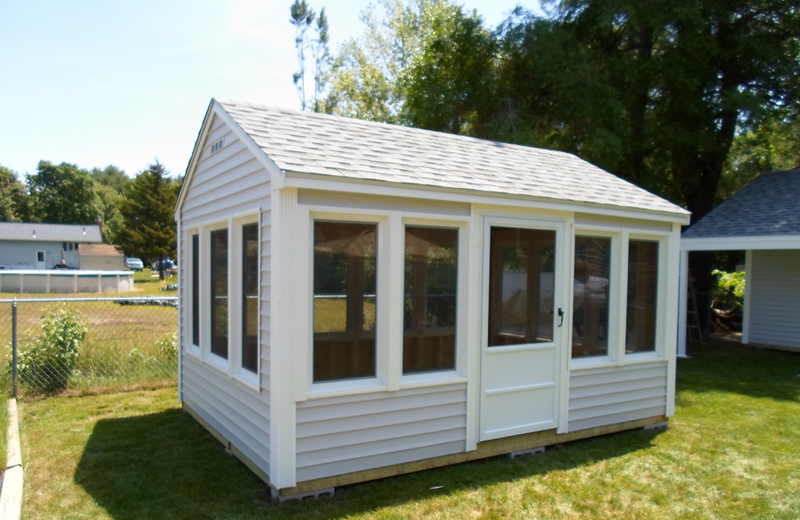 The Post Woodworking™ sheds that Nick Ieronimo Landscape Supplies offers come with a 30 year warranty, but many have lasted much much longer than that. This covers your shed inside and out from any failure due to construction related issues. We know that for you, a shed is a long term investment and we confidently guarantee satisfaction on all of our work. The seasonal elements of New England can be absolutely unforgiving and we take that into consideration on every design we create and shed that we build.